Mazda was founded in Hiroshima 96 years ago, and as we move toward our centennial year we will continue offering customers the joy of driving with this model, which has become a symbol of our brand. 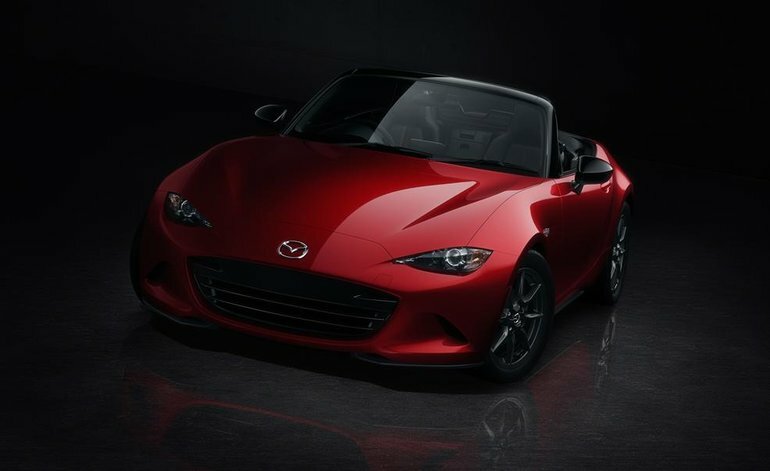 Mazda and its well-known sporty MX-5 roadster celebrated an important milestone this month when the Japanese manufacturer produced its one millionth MX-5 at its plant in Hiroshima. Formerly known as the Miata, the Mazda MX-5 is the most popular roadster in history, and has been since its launch in 1989. Starting at $31,900, the 2016 Mazda MX-5 has always been renowned for its driving pleasure and, starting this year with the addition of different SKYACTIV technologies, its considerable fuel economy. At its core, the Mazda MX-5 puts the focus on driver pleasure and vehicle dynamics, offering second-to-none handling and now more power than ever. "From the first generation through to today's fourth-generation model, the reason we have been able to continue selling the MX-5 all these years is due to the strong support of fans around the world," said Masamichi Kogai, Representative Director, President and CEO. "Mazda was founded in Hiroshima 96 years ago, and as we move toward our centennial year we will continue offering customers the joy of driving with this model, which has become a symbol of our brand. Mazda aims to create a special bond with customers and become a 'one-and-only' brand they will choose again and again." To learn more about the 2016 Mazda MX-5, contact us today at City Mazda!